Homepage Need a V5 Registration Document ? Why a tax disc ? 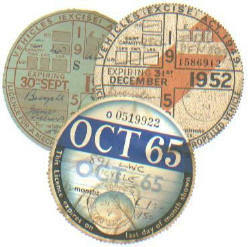 An old tax disc that matches the make, the registration number and the engine capacity is another useful piece of evidence that links the bike to its registration number.